SINGAPORE - Many elderly people fall in their homes and even minor falls can lead to serious injuries. Apart from getting health issues such as cataracts or osteoporosis treated, elderly adults should modify their home environment to minimise the likelihood of falls, said Dr Tan Sok Chuen, an orthopaedic specialist at Mount Elizabeth Hospital. She said using non-slip mats in the bathroom and having light switches within reach of one's bed can help, as can wearing well-fitting footwear with slip-resistant soles and a large contact area. Other changes that can be made at home include installing grab bars in the bathroom and using anti-slip adhesive strips on shower trays or floors that are frequently wet. 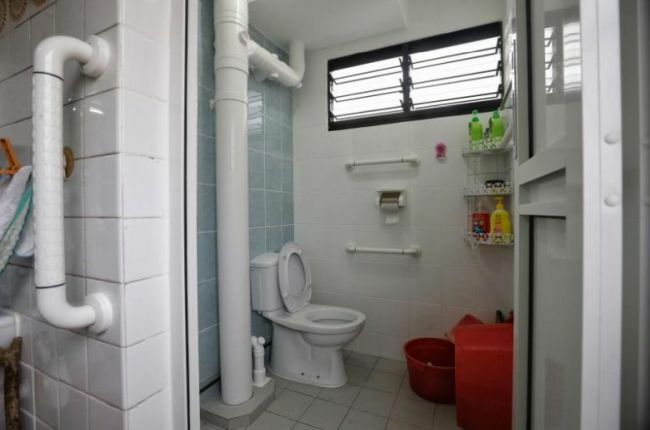 Dr Kee Kok Wai, a family physician and associate consultant at Toa Payoh Polyclinic, said slip-resistant tiles, which provide more friction and are especially important in the bathroom, can also be installed. The polyclinic has an Ageing-In-Place studio, resembling a small apartment, which he helped set up in 2011 to teach the elderly and their caregivers how to make their homes safer. Dr Kee said a bed's height is important when it comes to fall prevention. When an elderly person sits at the edge of the bed, make sure his feet are flat on the floor. "Installing a nightlight by the bedside can make a late-night visit to the toilet safer," he added. He also advised using a longhandled reacher to pick up light objects that are too high or too low to reach as this reduces the need to stretch or bend excessively. Falls are not always preventable. If it happens, do not rush to get up as this can worsen the injury. And if you are badly injured, do not try to get up at all. Instead, get help. Dr Tan said if an elderly person has had a fall, it is prudent to get the person assessed by a doctor. If there are open wounds with active bleeding, apply direct pressure on them with a bandage if available. "If the pain lies over the neck or spine area, do not move the head, neck or body till help arrives," she added. "If the injured person appears to be drowsy, get medical help immediately." If he is unable to stand, family members should get an ambulance as soon as possible, she said. "The longer the delay before treatment, the higher the risk of complications."